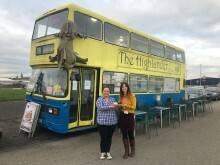 A unique bus-turned-café, situated on the shores of Aberdeen beach has just received the national tourist board’s prestigious Taste Our Best award. VisitScotland’s Taste Our Best scheme aims to bridge together the places people visit with quality food and drink experiences, which attracts locals and visitors alike. Businesses that offer great Scottish produce are not only evaluated on their food quality, but also how they advertise what’s on offer to customers. Almost half of visitors to Scotland plan to try local cuisine and spend 21% of their holiday budget on eating and drinking. 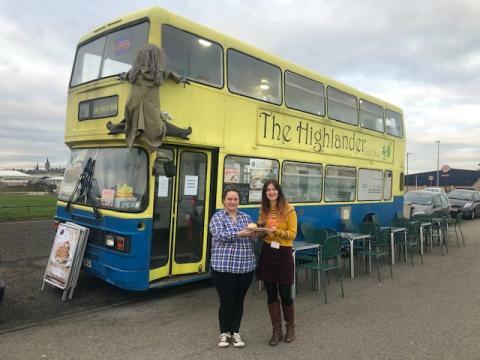 Situated on Aberdeen’s beachfront, family owned business The Highlander Café Bus, offers a delicious blend of Scottish and Romanian dishes; all of which are sourced from local suppliers. However, Sauerkraut Hot Dogs, Aberdeenshire beef steak burgers and aromatic bean to cup coffee is not the only driving force of The Highlander. This community-focused business bears a strong social responsibility, where no food aboard the café goes to waste. Fresh food is prepared on the premises every day and instead of needlessly throwing away excess produce, The Highlander has collaborated with Aberdeen Help The Homelessas well as giving away vouchers for free meals to children and adults at Fersands and Fountain Community Project. Another successful project underway is the café’s aim to reduce the number of plastic toys left on the beach. Each day, used buckets and spades are offered to locals to borrow and bring back to try keep Aberdeen’s beach clean and plastic free. The Highlander owner, Ramona Obafemi said, “I am thrilled to receive the Taste Our Best award. We have always tried to be as community focused as possible and sourcing our ingredients from local businesses and suppliers is one of the things we are strongly passionate about. 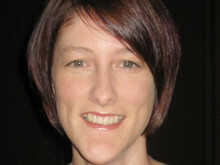 VisitScotland Regional Director, Jo Robinson said, “My congratulations go to Ramona on the exceptional achievement of receiving VisitScotland’s Taste Our Best award.